You are browsing the archive for cameroon. Justin Sègbédji Ahinon is a WordPress developer with a background in applied statistics. He is strongly interested in open access issues in Africa as well as in the dissemination of knowledge and the means by which it is carried out on the continent. He is a fellow and recently a mentor of the Open Leaders program of the Mozilla Foundation. Yves Valery Obame is a teacher in the Government Teacher’s Training College (GTTC) in Cameroon, member of Cameroon Laboratory for Research on Contemporary Societies (CERESC) of the University of Yaoundé I and a Ph. D candidate in Sociology. Founder of OER-Cameroon (@oer_cameroon), an open movement devoted to raising awareness and promoting the use of open educational resources in Higher and Secondary Education in Cameroon. He discovered the open perspectives (Access, Education, Data, Science) quite recently but its vision and objectives are in line with this work of awareness, through his teachings, that he leads and shares with his students in Cameroon and developing countries on the need for equal, justice and free access to knowledge. He is equally involved, with APSOHA, in advocacy work in the academic milieu. This blog was written by Rodrigo Valdez (Girolabs) and Transparency International Cameroon. This blog is part of the event report series on International Open Data Day 2018. On Saturday 3 March, groups from around the world organised over 400 events to celebrate, promote and spread the use of open data. 45 events received additional support through the Open Knowledge International mini-grants scheme, funded by Hivos, SPARC, Mapbox, the Hewlett Foundation and the UK Foreign & Commonwealth Office. The events in this blog were supported through the mini-grants scheme under the Follow the Money theme. Once we got the big picture of the topics, we assigned three tables to have conversations simultaneously. Each person could decide where to join and we speaking rounds to make sure everyone could speak. This way people participated in two different tables, with different people. Each table had a moderator guiding the conversations. On the Government Open Data table we had Federico Sosa, the General Director of Open Government moderating and they gathered many proposals to include in the new Action Plan, which will be executed by mid-year. The Innovation and Enterprises table with Margarita Rojas focused on innovation through data science and big data in companies, as well as the importance of the data that companies hold and how it can help improve the commercial experience and life quality. A topic that also came up quite strongly was the need to bring academia and open data together, particularly through a thesis repository, so people can take advantage of these documents that tend to be stored in university libraries. In the third table, the A Quienes Elegimos team lead the politics conversation. A few days before national elections, the topics of transparency and civic engagement resonated quite strongly with participants. Two factors were that thanks to open data, we can help people understand who represents them, participate and vote consciously. To finalize each table presented their topics and we had an open mic so participants could present their own projects. Among them, SENATICS presented their achievements and challenges regarding open data. The developers of the Ministry of Finance and the Public Procurement Office presented the portals they built and the importance of using them to track public money. For one more year, we have proven that spaces like Open Data Day are very valuable for people, but specially it becomes clear how much work there is left to do. As a community, we expect to keep creating spaces where people, CSOs and government can talk in a convivial way. Transparency International-Cameroon (TI-C) on Friday March 16 hosted an information and awareness raising workshop to celebrate the 8th edition of the International Open Data Day. Under the theme “Why should Cameroon use the Open Data Standards for Procurement to Combat Corruption in its Public Procurement System?”, the workshop organized with the financial support of the Open Data Community gathered representatives from the government, media, local councils, civil society organizations and technical and financial partners. Corruption in the public procurement sector in Cameroon: Causes, Manifestations and consequences. An expert from Transparency International Cameroon provided the participants with facts and figures on corruption in the public procurement sector. Understanding the Open Contracting Data Standard (OCDS). With the presence of an expert on open data issues, the participants were able to have a better comprehension of “open data”, “open Contracting”, and “open contracting data standard”. The expert went further in his presentation to demonstrate how OCDS can help promote transparency and integrity in the public procurement sector. Open Data and the fight against corruption: the nexus. In this presentation and taking into consideration the context of Cameroon, the expert from transparency International presented the advantages of “open data” and “OCDS” in contributing to the reduction of corruption in the procurement sector. He went further to demonstrate how open data can help mitigate some corruption risks. The absence of an information law: Cameroon does not yet have a law that could allow citizen to have access to information wherever they are and for whatever purpose. This has been identified as a major challenge in promoting OCDS. Non-adherence to international initiatives on Open Data: The country has not joined some of the recent initiatives aiming at facilitating and promoting open data. For instance Cameroon is not a member of the “Open Government Partnership”. Weak technical expertise from government and Civil society organizations: Implementing open data or open contracting data required a specific skill which is lacking at the national level. Therefore there is need to strengthen the capacities of stakeholders before preparing them to the use of open data tools. Poor knowledge of open data concepts and tools by the final beneficiaries: Participants believed that data are very sensible and if not well used can become a weapon. Therefore the questions raised were: (i) are citizens prepare to receive some data? (ii) And are they equipped to analyze the data? To these questions, participants expressed the need to educate citizens on open data and to conduct a sort of open data comprehension index as well. The event was broadcasted on a national TV station during the Evening news the same day, also, one of the journalist present during the workshop had two articles published in its newspaper (Le quotidian l’Economie). We should however underline here that this workshop is in line with the missions of the recently established “Open Contracting Working Group – Cameroon” composed mainly of three Cameroonian civil society organizations namely: Transparency International Cameroon, AfroLeadership and CRADDEC. 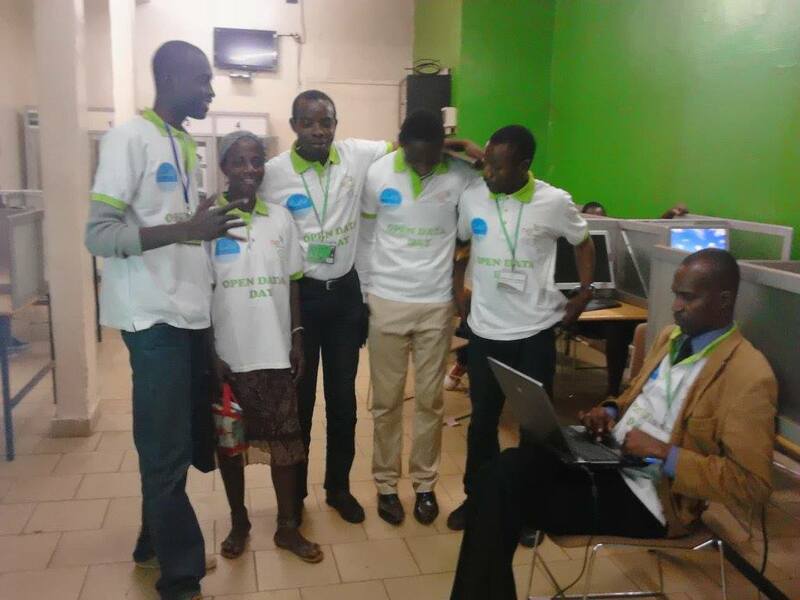 The Open Data Day 2016 was successfully hosted and celebrated in Cameroon by the netsquared Yaoundé community. The theme of the day was ‘Empowering Cameroonians to accelerate open data’, bringing together 90 participants. The event was hosted in Paraclete Institute in Yaoundé, which brought together multiple stakeholders and students, to empower them in advancing open data in this part of the world. The event started at 3pm with a theoretical session and ended with a practical workshop at 7pm. The theoretical session was hosted to shared with participants the basic concept of open data, its importance, and how it could be accelerated. This was demonstrated through a powerpoint presentation from panel members who shared examples of the impact of open data on government intermediaries, education and agriculture in strengthening citizen engagement. And the importance of the release of data sets. This event help to encourage participants to use open data for local content development in Cameroon, showing how data could be made available for everyone to use, especially government data. The key concept was resourcing technologies that could be used for smart visualization of data and how data could be made available on a database for everyone to use to encourage innovative collaboration. We also discovered that most data has not been made accessible in Cameroon.f In order to encourage innovation, transparency, and collaboration we need to advance the open data movement in Cameroon, The practical workshop empowered participants to blog about data andto share it for reuseIt can be distributed on a platform like internet database website using blogg.com and other blogging sites like simplesite.com. We also made them to understand that research data must be made available for people to reuse and distributed for everyone to visualize it. We also empower them on how they can made their data available socially, teaching participants that they can share data from blogs to other communication platforms or social media platforms like Facebook, Twitter and Google The event was appreciated by every participant.